A trailblazer in the world of women’s sport, professional footballer Cora Staunton is a remarkable character powered by sheer grit and determination to succeed. Mayo-born and bred, the once in a generation talent is one of Ireland’s most decorated Gaelic footballers with four All-Irelands, three Ladies’ National Football League titles and eleven ‘All-Star’ accolades to her name. A ferocious and respected opponent on the pitch, Cora has become the face of the modern GAA and the poster woman for Irish sporting success. She has increased the visibility of women in sport and inspired and encouraged a whole new generation of young people who, through their love of the game, have found a sense of community, belonging and purpose. 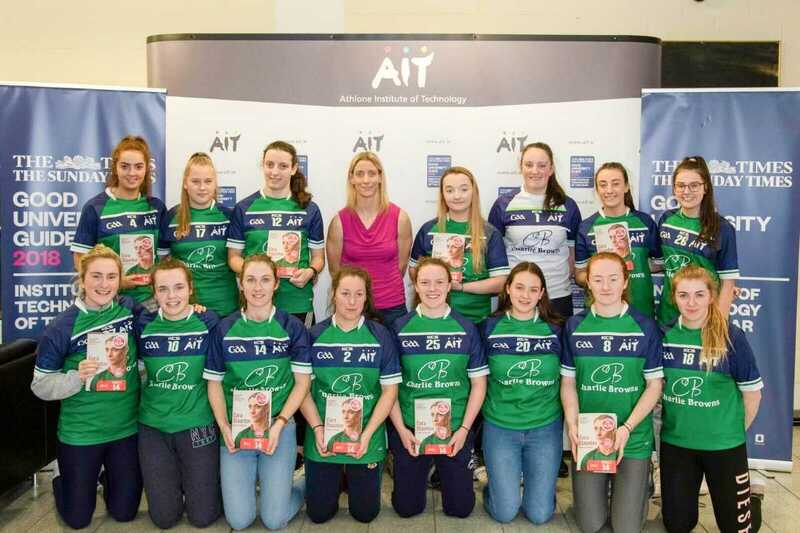 In her explosive debut autobiography – Game Changer - Cora reveals her extraordinary journey from teenage rookie to the highest-scoring forward in the history of ladies Gaelic football. She also details the career-defining adversities she’s faced, including her move from amateur to professional football. Game Changer is the first ever autobiography by a female GAA star and will take its place as one of the most influential and powerful sports books in recent history. Cora’s work ethic and commitment to her sport are unquestionable. From the beginning, she’s pushed herself and striven to constantly improve her game. In 2017, this tenacity paid off. The 36-year-old became the first international player signed by a women’s Aussie Rules team, paving the way for other female players to go pro. Cora capped an incredible debut season and went on to win her club, the Giants, ‘Goal of the Year’ award. Despite her success, the sports star doesn’t think she’s anything special and says that with hard work and dedication, anyone could achieve what she’s achieved if they just set their mind to it. “To most people, I’m Cora the footballer or even Cora the sports star, but, in reality, I’m just Cora the person. I’ve worked really hard to get to the top of my sport. I’m very driven, very stubborn and I just want to achieve all of the time. The latest journey of my sporting career is the AFL in Australia, I’ll be heading back in about ten days’ time to try and challenge myself to do even better than I did last year,” she said. As Cora heads into her second season as a professional Aussie Rules player, she does so with the full support of the institute behind her. She is a true trailblazer in Gaelic games and sport in general, going far beyond the limits of women’s sport or female codes. Her abilities as an athlete, her achievements on the field, and her transition to professional sport mark her out as one of Ireland’s greatest sportspeople. For young people, Cora is a beacon of what can happen when you persevere, when you challenge, and when you embrace your talents, regardless of what they are.